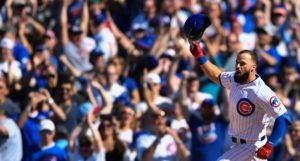 Among the players the Chicago Cubs would be willing to trade, right fielder Kosuke Fukudome has to be near the top of the list. He’s a free agent at the end of the year, and is not expected to return in 2012. 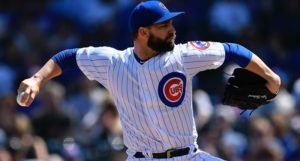 He’s relatively expensive, and the Cubs would like to see a younger player like Brett Jackson or Tyler Colvin getting some starts. But, one problem: despite the Cubs’ efforts to move Fukudome (it’s going on two years now), there has never been significant interest. Right fielder Kosuke Fukudome has been on the radar of a number of teams, including the Cleveland Indians. The Indians, who lost right fielder Shin Soo-Choo to injury, would be a much better team with Fukudome. A National League scout, who asked for anonymity, likes what he has seen in Fukudome this season as opposed to the previous two. The scout went on to say that as a defensive player, Fukudome is above average in range as well as arm strength and accuracy. The Cubs are reportedly looking for pitching prospects, which, like, duh. There are, as with virtually every Cub rumor this year, two hurdles to dealing Fukudome. 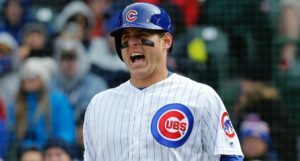 First, he’s got a limited no-trade clause, which could potentially allow him to block the Cubs’ preferred trade. Second, although he’s in the final year of his contract, he’s owed about $6 million for the rest of this year. That’s a lot for a guy like Fukudome, who could certainly help a contender, but is not a difference maker. The Cubs are going to have to eat some of that just to move him, let alone if they want to get anything decent in return. I still believe, given his value and future standing with the team, Fukudome is one of the most likely Cubs to be moved before the July 31 non-waiver trade deadline.